The best managers surround themselves with the best people. It's no different when you find yourself in charge of a food service project. If you want to look your best, surround yourself with the best people in the food service business - the people at Klimatek. Whether securing the right equipment for a particular application or value-engineering a project, Klimatek can help ensure the most value for every dollar spent. Klimatek professionals routinely supply food service operations in Turkey with their consultation services. Klimatek is a member of Tusid. Your time is valuable... That's why Klimatek promises timely delivery, and offers our expert installation services to each and every customer. Our customers always expect the best! The highly trained installation and delivery staff at Klimatek reflects our commitment. We guarantee that your complete package of equipment and/or furnishings will be delivered and properly installed - on time, every time. Overall project management may be the single most important task when tackling a food service operation start-up or retrofit, especially when you are tryng to handle multiple projects at the same time. Special projects need special attention - attention to every detail, every specification, every piece of needed equipment and every dime being spent. The project management team at Klimatek has the proven abilities to effectively manage any food service venture. So start your next project right! Call on the industry experts at Klimatek. Klimatek understands that good information leads to good decisions, and good decisions lead to a profitable business. That's why we are committed to implementing new information technology for the benefit of our customers. Today, as in 1935, quality assurance is the cornerstone of Klimatek's work ethic. Our solid reputation as a trusted single-source supplier to the food service market was gained by ensuring that our customers always get exactly what they expect, and more. No matter what the size or the nature of the project is, or how pressing the need, Klimatek's dedication to absolute quality assurance remains constant. Rest assured, whenever Klimatek is involved, our unsurpassed reputation for quality and superior quality assurance shines through. 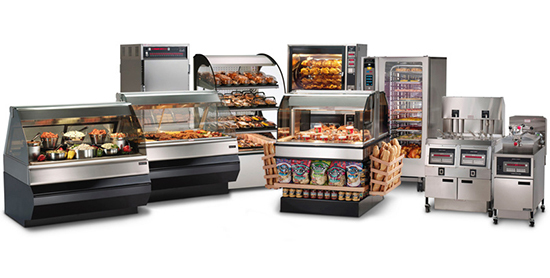 Both international and local chains rely on Klimatek's unsurpassed quality of service for their daily operations.